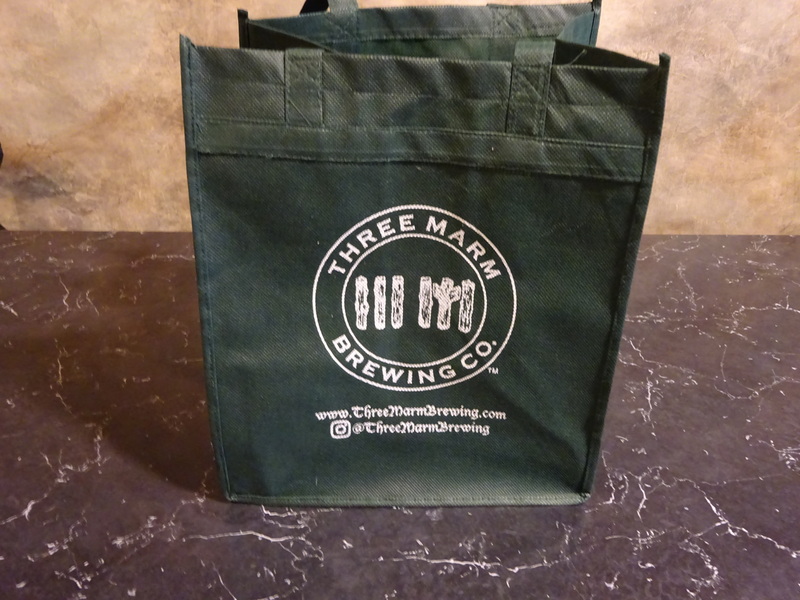 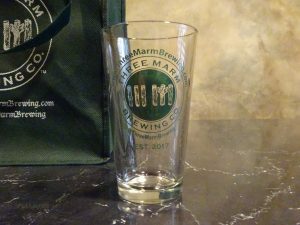 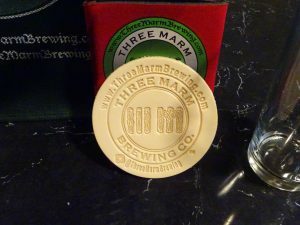 When you purchase a 333 Friends Share from Three Marm Brewing, you become part of an exclusive group of individuals who will receive lifelong benefits once we open our taproom in 2019. Three Marm solid copper dog-tag with our logo and your Friends number engraved on it. 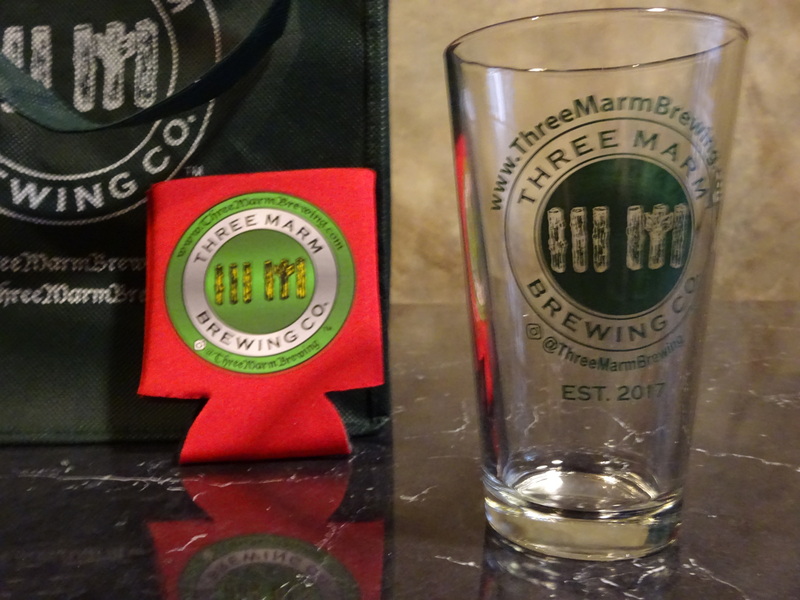 Our hand-engraved pint glass with your Friends number engraved on the back of it. This is your pint glass and will stay in house at our taproom waiting for your visit. 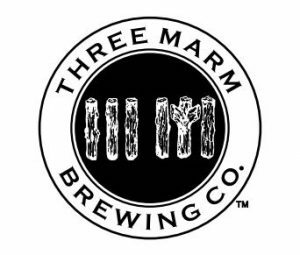 We expect to have our taproom ready for pouring some time in mid 2019. 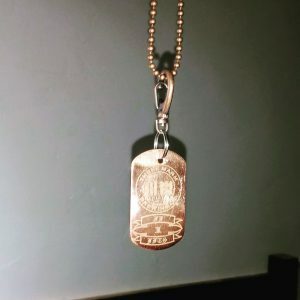 Engraved copper dog-tag with your Friends Share number on it. 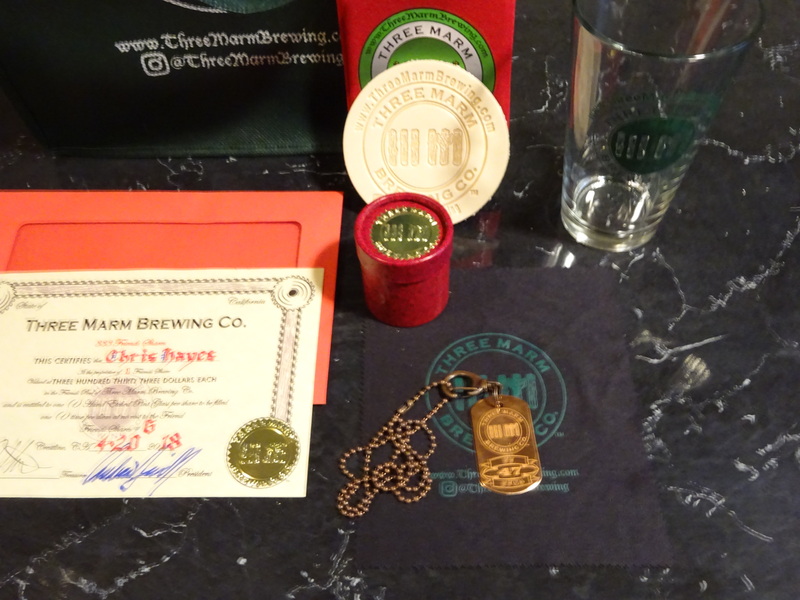 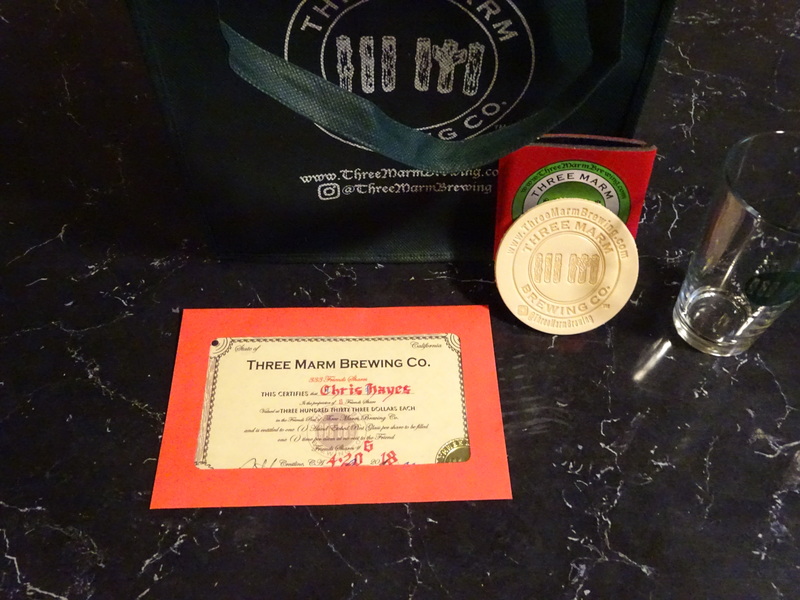 *You must appear at our taproom in person and present your numbered dog tag along with a valid ID demonstrating that you are 21 years old or older to claim your pint per diem. 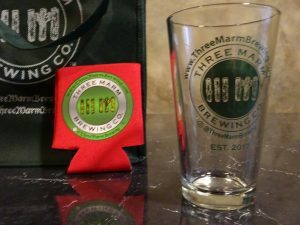 Visit our 333 Friends Shares informational page and our FAQ page.